Radiotopia is a collection of the best story-driven audio shows on the planet. To make great shows you need great producers; we have those. To keep those producers motivated we need great fans, and we have those too, thanks to you. This year for our Radiotopia Forever fundraising drive we are calling upon you to become a sustaining monthly donor at $1 to $20 to support our ongoing mission to produce amazing programs. Please click here and show your support for 99% Invisible and Radiotopia! We bring these podcasts to you for free, but there are serious costs associated with taking creative risks while delivering the highest quality shows in the world. By supporting us with a monthly gift, we will be able to continue to do just that. Surprise you. Shock you. Make you laugh. Make you mad. Make you feel. If you have not yet tuned in to all of these excellent Radiotopia shows, be sure to check out Mortified, The Allusionist, Criminal, The Heart, The Truth, The Memory Palace, Radio Diaries, The Theory of Everything, Song Exploder, Love + Radio, Fugitive Waves, & Strangers. 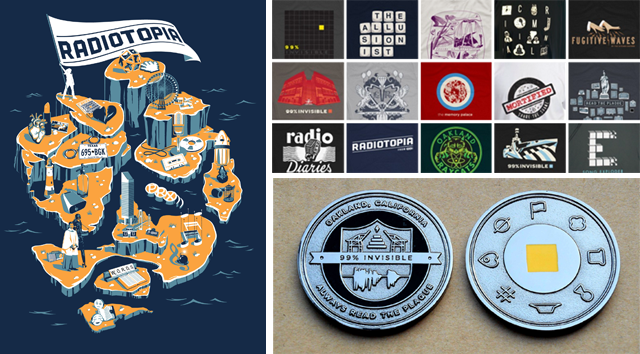 Donate now to get an exclusive tote bag, one of your favorite Radiotopia T-shirts, or the brand new 99% Invisible challenge coin, which is only available during this drive. Last year, Radiotopia broke crowdfunding campaign records, raising over $600,000 on a $250,000 Kickstarter goal. This year, we are not just raising one-time funds but asking for the continued support from our millions of monthly listeners. Slack has also pledged to give us an extra $25,000 if we get 5000 donors, at any level, in the first 7 days. Your contribution could make all the difference. A challenge coin is given for exceptional service to a cause, and if you become a monthly donor during the ‪‎Radiotopia Forever‬ campaign at the $4 level, we will send you your very own 99% Invisible Challenge Coin. After this fundraiser, you will have to earn a challenge coin from one of us in person. So the next time you see one of us and say, “I love the show!” we’ll say two words to you: “Coin check.” Get yours today. Stumped on any of the challenge coin shapes? Brush up on all eight symbols (clockwise starting at the top) by listening to Vexillionaire, The Fancy Shape, Good Bread, Perfect Security, U.T.B.A.P.H, Octothorpe, O-U-I-J-A and A Cheer for Samuel Plimsoll. And, of course, Always Read the Plaque. Congratulation Roman and the 99PI team. I could have resisted a shirt, tote bag, or coffee cup. But the challenge coin hit me right in my nerd soft spot. I’m a past donor and had to donate again as soon as I heard about it. It looks great. Can’t wait to receive it. Thank you for all you do. I hope we can. Can we? I’d even pay for shipping. I hope we can, too. I donated in the hopes that it would still count to receive the challenge coin (plus support 99pi – my favorite podcast). Also wondering about this – be good to get a definitive answer from the team! I’m 99% sure that the front of the coin shows the audio waveform for “This is 99% Invisible. I’m Roman Mars.” Is there a writeup for what the other symbols mean? 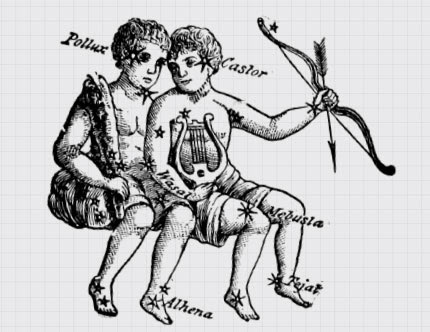 Just updated this post to list off the symbols and link them to the relevant episodes. You’re very close on the waveform – it is a full episode, though. 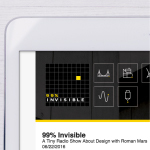 And in the center, the yellow square from the 99PI logo representing the 1% “visible”. On the reverse, clockwise from the top: Flag, quatrefoil, slice of Wonder Bread, keyhole, Pizza Hut Roof, octothorpe, Ouija planchette, Plimsoll Line mark. Had to donate and get that challenge coin! Also went in for the shirt. Wondering if I get to choose the shirt, size, etc.? It never asked! Nevermind. Just read my email! Thanks for all you (Roman & the 99PI team) and Radiotopia do. I get overly giddy when I see that one of your episodes has arrived in my podcast stream. I’m excited to see and listen to what more will come! I’d love to make a contribution, but I don’t see any Paypal option in the payment screen on the fundraising drive page… I might be able to get my hands on a credit card, but I’d prefer to just use my Paypal -account.. Hope this can be fixed! I listen to a lot of Podcasts, but 99PI is by far my favourite. It always feels like a special treat when a new one comes out. I can’t wait to get my challenge coin – such a great idea! What is the white circle with the yellow square representing? Thanks for such an awesome show. The yellow square is a reference to the one in the 99pi logo and I’m pretty sure (not 100% positive) the circle around it is just smooth but looks white in the photo! Am I the only one wondering why Nate Dimeo is hiding under a blanket in the “thank you” video? How is challenge coin or emblem design different from flag design? I see I’m not the only one curious about the yellow square. The symbolism is clear, although it loses its familiarity and contrast without the black backdrop. Curiously, on this very page’s logo the square is white, and it is red in the favicon. Yet they all share a black background. Doesn’t look like a Canadian can donate? :-( Is there any way at all? Congratulations on hitting the 5000 mark! Just donated. Looking forward to my coin and T-shirt! Any way we can donate to get a handful of coins? 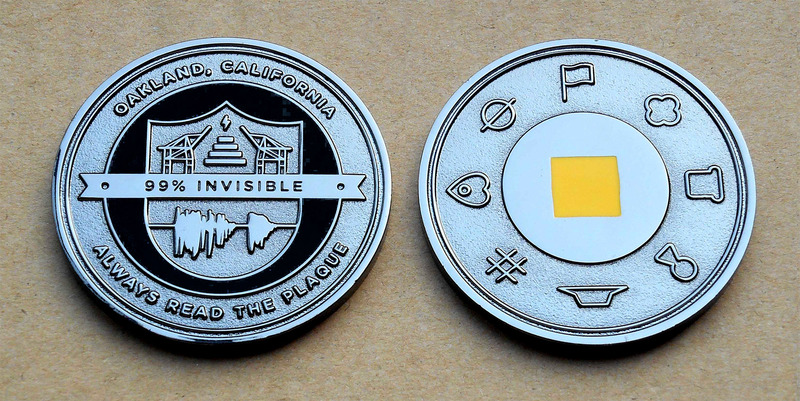 It would be awesome to spread my love of 99pi and Radiotopia in the true spirit of challenge coins – by passing them out to special folks who “have done me a solid”. Coin would look great if I could pin it on my bag! I want to pledge to get the challenge coin. But I’m in Manila, Philippines! How do I get the coin? Is there an option to cease the recurring donation in the future if the need arises? I signed up for the monthly donation and at the very bottom of the confirmation email there is a link where you can go to modify or cancel your donation in the future. I saved the email assuming that it might come in handy someday. My confirmation email mentions a follow up email to get more info if we ordered a shirt (i.e. shipping address), but what about the challenge coin? Should I just calm down and assume everything will be okay? So can international donors receive the challenge coin? I`d donate anyway but I just want to know if my hopes are in vain. Who is making your challenge coins? Are you using coinforce (mentioned in the episode) or some other manufacturer? The group I work for might want to make some. Next year, I would love to see a challenge coin + mug option. I’m not really a tote person, but I dearly love a nice mug. Sorting my pants to see which ones have that no-longer-useless-pocket to carry my 99PI coin! The FAQ on the donation site is clear: international donors are welcome and will receive premiums (mugs, challenge coins etc.). I’m in Canada and have two 99% Invisible posters from previous campaigns gracing my entranceway, so there’s proof positive. So my fellow Canucks and international connoisseurs of great podcasting, get in there and donate (because you never know when you’re going to be coin checked). Ok, I’ll bite & I’m gonna donate. This is my favourite nonfiction podcast & I want to support it. I thought it would be fun to get the challenge coin but I haven’t seen anywhere how long the monthly commitment needs to be. I’m comfortable with several months to a year or so, but I don’t know if I can commit to forever & ever. Will the fall campaign extend? I don’t have a credit card yet but I’ll ask my parents :( Best podcast ever! I donated 10 days ago via the PayPal link that was listed in the Campaign Page FAQ but haven’t had any kind of response from Radiotopia or PRX to indicate that it was registered as part of the campaign – or even that my money was received at all. I really wanted to get the Challenge Coin, but I suspect my donation just went into some generic donation bucket. I love everything that these guys are doing so I’m pretty disappointed, to say the least. I also think it’s slightly ironic that for a design junkie, Roman chose to use the Slack donation interface that had no support for PayPal payments and was also unclear in other ways. Shame. 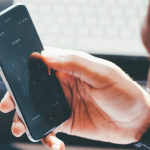 How do I manage my recurring donation? Thank you! Hey, almost done with January and I’ve still yet to receive a follow-up e-mail for the coin and shirt. Heard a first batch of coins was going out soon, did I miss something? Thanks! Just received my challenge coin. It certainly lives up to the expectations established on the show! Awesome little surprise in my mailbox yesterday in Melbourne, Australia. Just got my coin from Singapore! I never expected to see it or reach me but I just had the most delightful of surprises! It’s so much heavier then I expected, a solid weight in your hand. I love it. Hello! I have my coin and I love it. Did I miss something though? 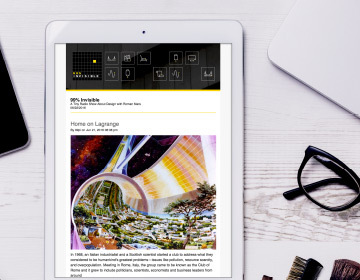 What is the significance of the yellow square? Thanks, I love the show. That square is from the logo – good catch, though – we forgot to mention it specifically! Any way I could donate now to receive a challenge coin if there are any left over? I’m a new listener that just heard this episode and regret not knowing about this earlier! I’m the same way. I would love to be able to get one. Of course, having now listened to the podcast from when the campaign was going on, I know they said it would never be available again so it might be hard for them to go back on that now. I’d *so love* to donate to get one, though. Hi! Is there somewhere a place where I could earn, trade or buy this challenge coin?